Suzy is super funny and it was a pleasure getting to know her! Thanks again Suzy for having me today! Not to be an english major (which I'm not) but you spelled wassail incorrectly. Just letting you know before you made too many of them. Darling idea! I love the sign, its great! 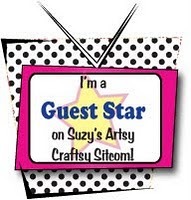 Thanks for being a guest star on Suzy's Artsy Craftsy Sitcom!! Tom says "hi!" Enjoyed reading your interview at Suzy's. I was her victim, er, um guest ( said totally lovingly because I adore her) last week :) LOVE this sign! I'm also your newest follower. This is great, I'd love to make one with beach names. How do you do the font? Super Cute! 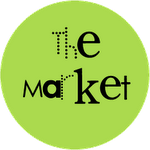 It's being featured on my blog today. :) Thanks for the inspiration! !